Sorry for disappearing completely, was dealing with some issues. 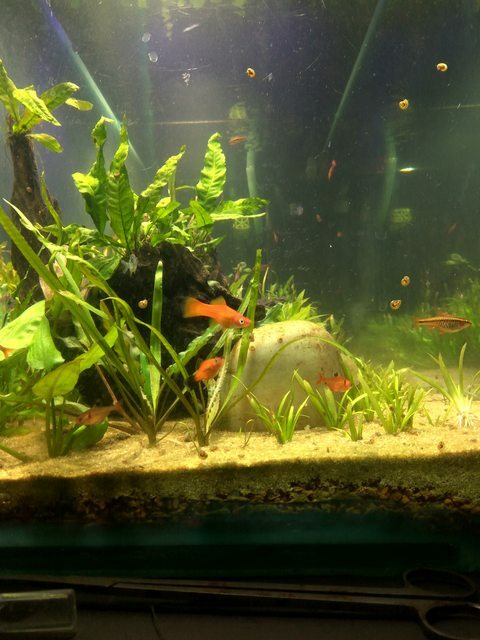 The tank has been getting regular water changes and other maintenances, but there have been no additions. I dosed a few more of my DIY root tabs last month and the vals have been responding pretty well to it. Amazons are not gaining height but have started throwing runners and new leaves, albeit slowly. The one internal 1200lph filter was seemingly not enough for the tank and the water was always a bit cloudy. Added another 1000lph filter yesterday and replaced the foam with filter floss to clear out finer suspended particles. Tough times meant I couldn't add any more plants for some time but gonna order a few soon hopefully. I still haven't added any fish, but November will see some life hopefully. 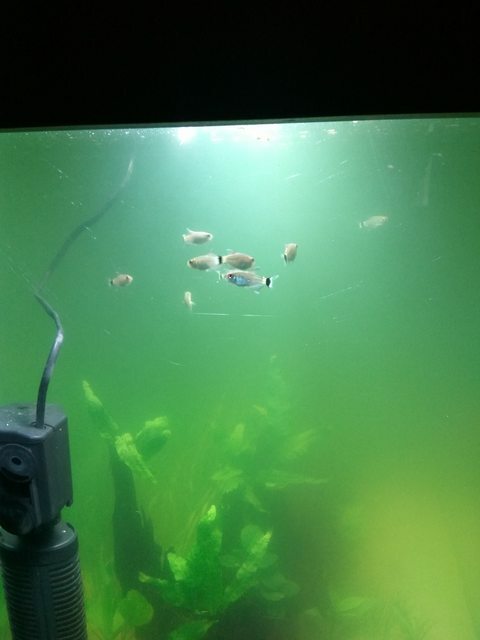 Im really hoping to get a school of glass catfish along with rainbows and tetras. 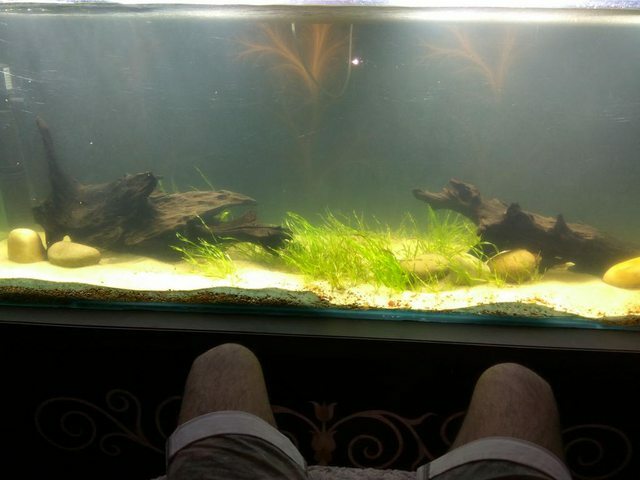 I was worried about not being able to fill the tank with plants however vals have almost formed a meadow in the middle of the tank and Im loving it! A few anubias and ferns on the wood and a few crypts here and there is all that the tank needs now, and maybe a few giant valls. EDIT: Finally able to place an order for my plants! Plants arrived on 17th October and I've planted them the same way. Wanted to have a jungle appearance and the valisneria meadow in the centre really added to that. While planting I had to pull out almost 20 valisneria individuals to make space for new plants. While planting I went overzealous and added about 20x diy root tabs. 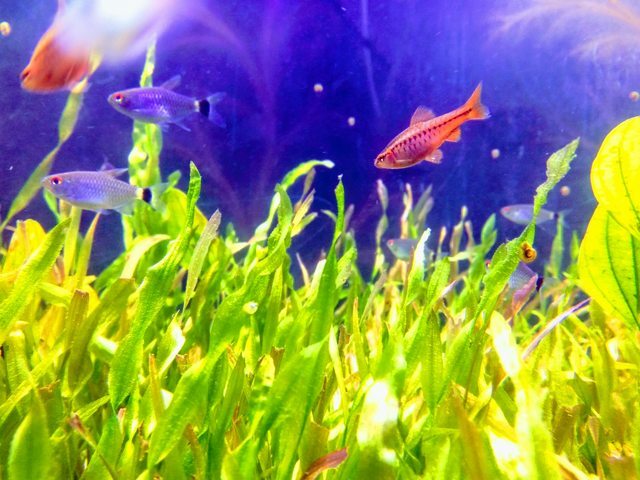 The valisneria as usual have embraced it greatly and they seem to gaining height now. 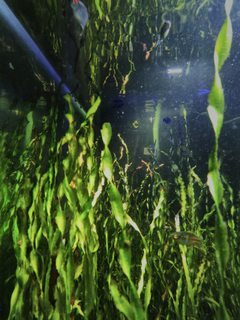 There are new leaves in the crypts and a few echinodorus individuals. Sagittaria and e. grisebachii aren't looking good. Fingers crossed. Hygrophila corymbosa is probably my new favourite plant lol. Its throwing new leaves and already has a few centimetres of roots emanating from the sides. I even mistakenly planted one plant under the shade of the wood, but it still grew from underneath the shade towards the light. 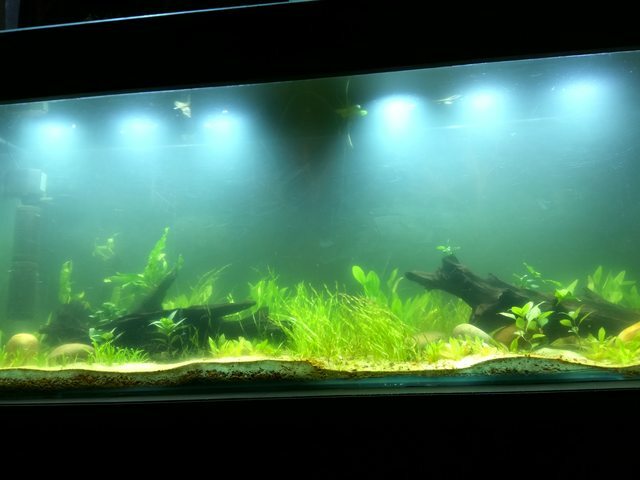 There is an expected outbreak of green water algae, what was I thinking blasting the tank with so much nutrients lol. Anyway, there's nothing I can do except for wait. 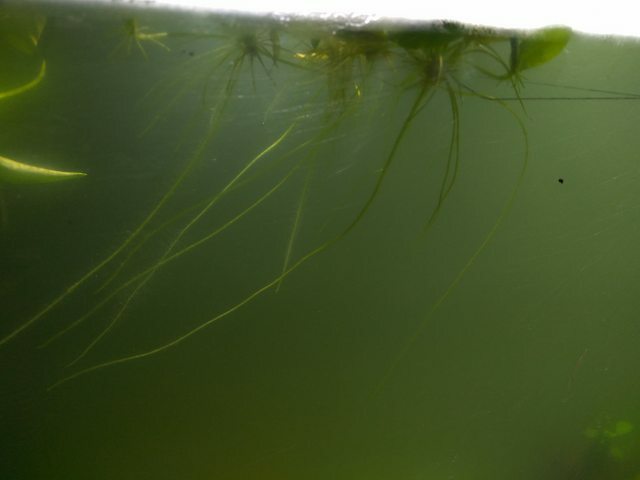 Hoping the fast growing plants like corymbosa and vallisneria as well as floating plants will outcompete the algae soon. Ive restricted my lighting to 8hrs a day as well, vs 10 hrs previously. All these fishes were added gradually over a period of 2 months. 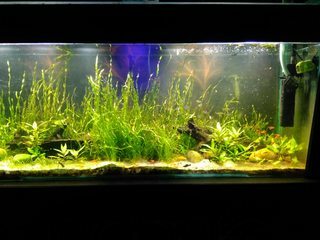 I really dislike the trend of "painting" fishes by injecting dyestuff into their systems, and Ive made it pretty clear to my LFS several times. However, seeing as though there is always a demand for these fishes, he isn't gonna stop bringing more, and this practice isnt gonna stop. I wanted to get glass catfish, so I was interested in the P. ranga for a long time. So I thought maybe I'll just get a few painted individuals and hope their dye fades soon and they turn back to their natural self. The other event was the battle with cloudy water! 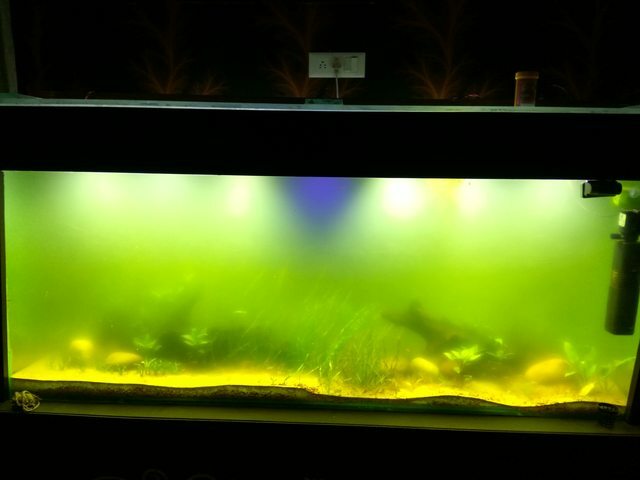 The tank had turned almost opaque with the cloudy water, first it was a bacterial bloom, then green water, then it was simply cloudy for some god forsaken reason. 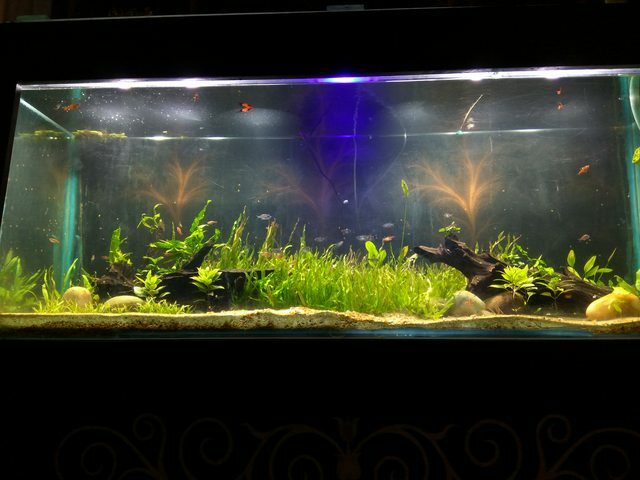 Here is a picture of the tank in October, shortly after posting my last update. As you can see, the water was already a bit cloudy, but it was okayish. The floaters quickly dropped long roots. These ended us being a good source of snacks for the fishes later on. The first pioneers to swim in this setup. Water is still cloudy and getting worse everyday. All my parameters were normal. The tank was at its worse during this time. 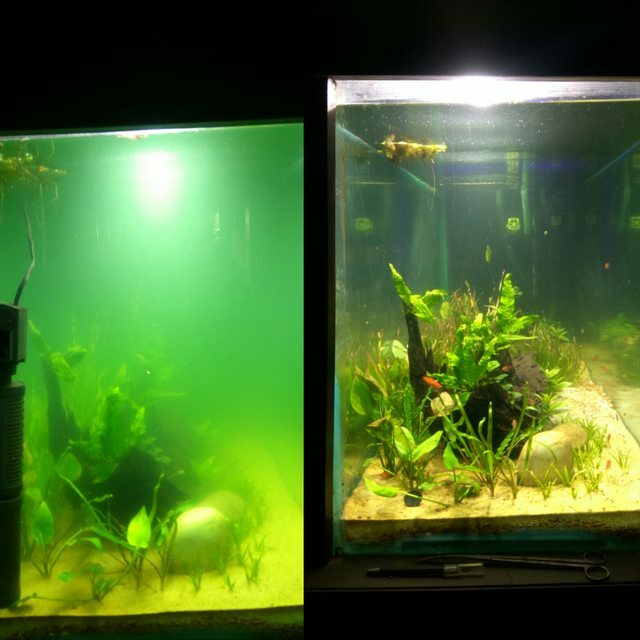 This pic is from 14th November, and the tank stayed the same way till the end of December. Here's a small gif I made, 5 minutes in the tank condensed into 15 seconds. And heres a side shot of the valisneria jungle. It almost looks otherworldly! I know its a lot of fish, so I do 30% WC weekly and 80% monthly. Its running one 1200lph canister filter and 1 1200lph internal filter along with one 3000lph circulation pump.